I have decided to sponsor the construction of a well in Uganda for my Bat Mitzvah project. I have learned that access to clean water can save lives. No one should be denied access to clean water. 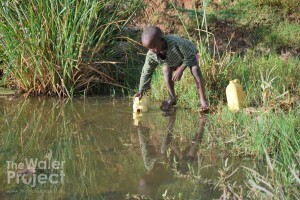 I want to help kids in Africa get clean water so they can survive and have potential. Nearly 1 billion people don't have safe water to drink. It costs $7,000.00 to construct a well. At first, this seemed like a lot of money to raise, but I thought I would go ahead and give it a try because nothing is impossible. 100% of the donations I raise will go toward the construction of the well. and a hand pump is attached. community about proper sanitation and hygiene. 07/26/12 Anonymous Donor $20.00 blessings! 07/25/12 Debbie Santos $36.00 Bless you, Serenah for doing this. 07/21/12 Anonymous Donor $200.00 Faith is taking the first step without being able to see the whole staircase. Though it looks like a hard goal, G-d will help you see the staircase and reach your goal. Keep it up Serenah. 07/20/12 Rhonda Dunigan $50.00 Wow Serenah, what a great idea. Thanks for letting us share this with you!